CAD/CAM manufacturer OPEN MIND has released version 2018.1 of the hyperMILL® software suite. Important new functions have been included: ‘soft overlap’ blending enhancements, 3D-optimized roughing for high feed cutters, and ‘global fitting,’ a CAM-oriented CAD function. The new version also boasts process-optimized functions for electrode manufacturing. The hyperMILL® VIRTUAL Machining simulation solution sets new standards for Industry 4.0 applications. OPEN MIND has optimized 3D roughing processes when machining with high feed cutters. The step-over distance can be calculated from the scallop height measured against the high feed cutter geometry. A special tool path movement removes rest material from corners when there is a very high lateral infeed. Intelligent cut division and optimized toolpaths provide greater process safety for remaining thin ridges. Machining marks are often visible at transitions between steep and flat areas, or at the extents of rest machining regions. 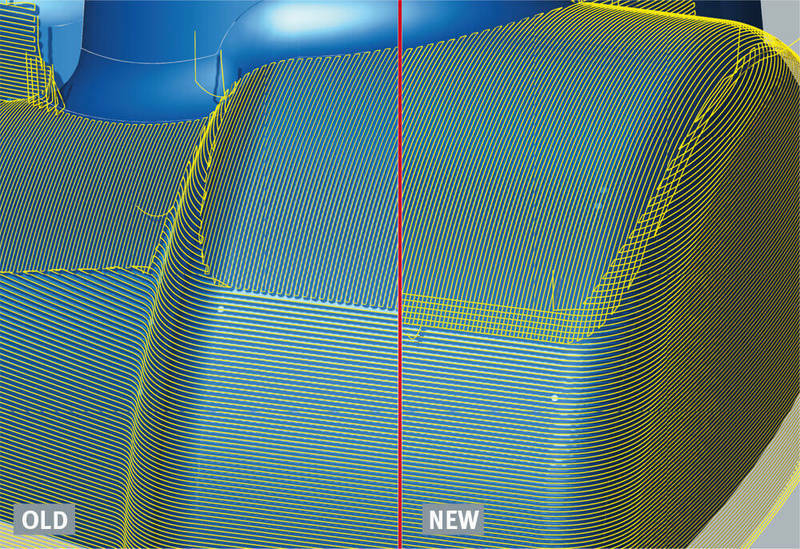 The new ‘soft overlap’ function in hyperMILL® greatly reduces this effect. The milling tool is briefly lifted to blend the milling paths into one another. This prevents visible transitions from being created and results in better surface quality. The CAD module in version 2018.1 of the OPEN MIND CAM suite boasts a particularly time-saving solution: ‘global fitting.’ Global Fitting creates a single cohesive face from a set of multiple faces. Many CAM strategies can then follow the ISO u-v orientation of the surface patch, increasing the application of these CAM strategies. 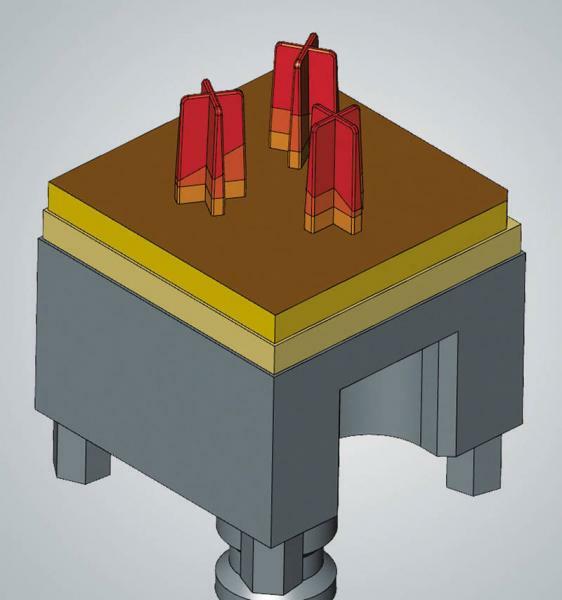 The hyperCAD®-S Electrode automates the construction and manufacturing of electrodes for die-sinking. Users can simply derive their electrodes from the face to be die-sunk within the component geometry – no specialist expertise is required. OPEN MIND has enhanced this module with functions such as the ‘rotational electrode,’ which facilitates the circular placement of multiple electrode geometries with different spark gaps on a holder. This saves users time during milling and eroding. Integrating an interface with the CERTA Systems Job Manager is important for establishing continuity in the electrode process. The hyperMILL® VIRTUAL Machining simulation solution creates a perfect virtual rendering of reality in the machine based on NC data. Built with Industry 4.0 in mind, there is a bidirectional communication link between the machine control and the hyperMILL® VIRTUAL Machining Center, thus delivering a new level of process control and optimization.